Rocketry Force of the Yemeni Army and Popular Committees, on Sunday, fired a homemade ballistic missile, Zilizal-1, at the gatherings of the Saudi army’s mercenaries in Asir and Najran, a military official told Saba News Agency. Another missile was fired at the gatherings of the Saudi’s mercenaries eastern Al-Dood mountain, causing deaths and injuries on the mercenaries’ ranks. 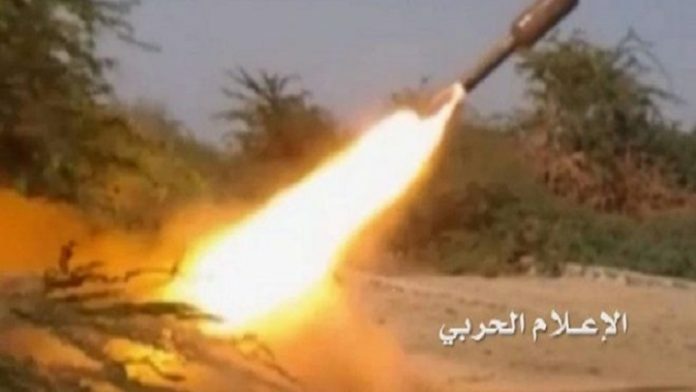 The Artillery forces of the Yemeni Army targeted gatherings of Saudi mercenaries in MBC Mountain, Al-Khoubah, Naashaw, Kaawob and Al Majaziaa sites on the same front causing massive casualties on mercenaries’ ranks. Next articleAfter Saudi admits that it killed Khashoggi , when will it admit the killing of thousands of Yemenis?